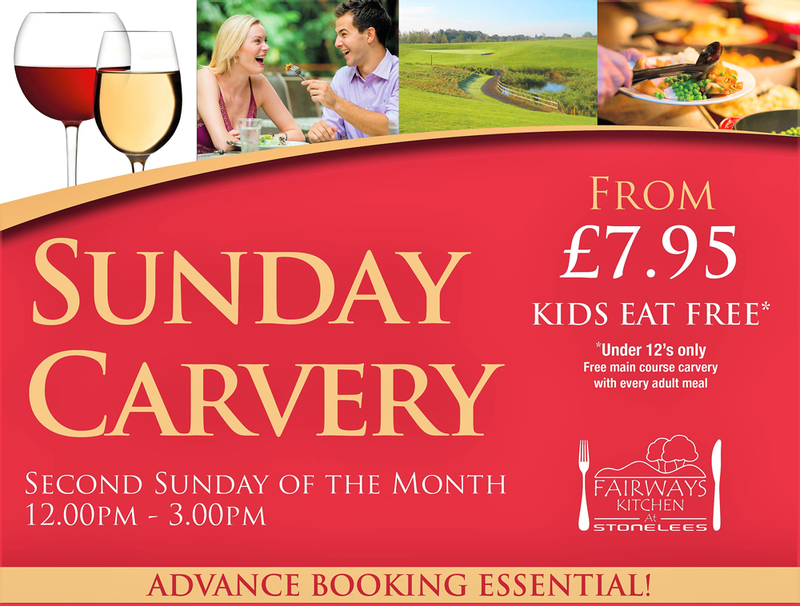 The Fairways Kitchen carvery takes place at Stonelees Golf Club on the second Sunday of each and every month in our upstairs Saxon Suite. Prices are from £7.95 and kids eat for free! All of the produce that we cook and serve is sourced locally. Our meats all come from a local butcher, Salvatori of Whitstable and our fruit and vegetables all come from Nash Farm in Margate. The meals are cooked on the premises and the meats that we offer vary from carvery to carvery. All of our vegetables are cooked to order, not vegetables that have been hanging around on the hotplate. Nice freshly cooked vegetables each time, every time! Our Saxon Suite comfortably seats 75 people and has its own bar serving a wide range of beers, wines, spirits and soft drinks.